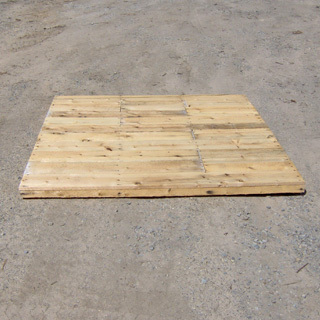 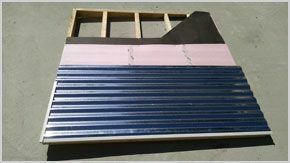 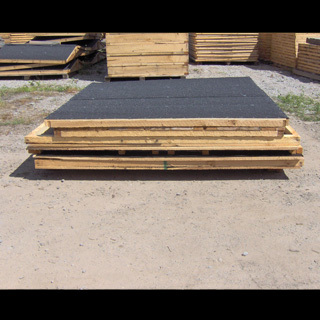 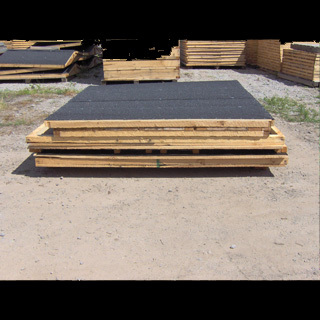 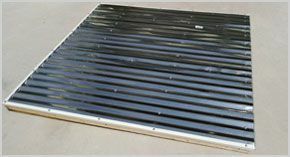 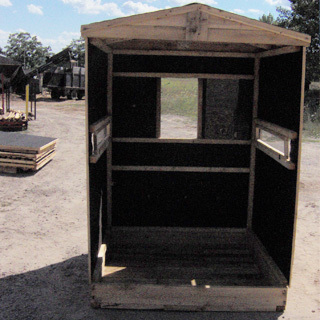 Angle roof has wood structure with a layer of 30lb tar felt, ¼ styrofoam insulation , and it is covered by corrugated steel. 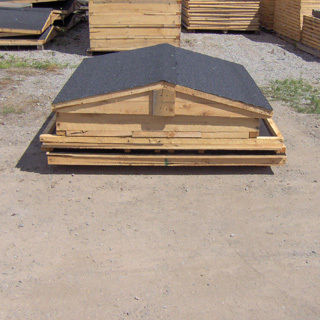 For a longer lasting roof. 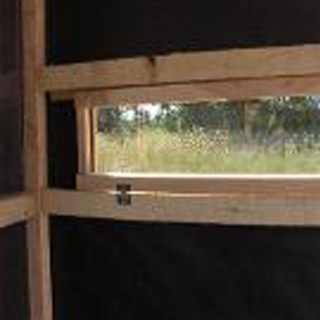 The corrugated steel roof now comes standard on our Rusitc, Hinged window, and 5 x 6 two person deerblind. 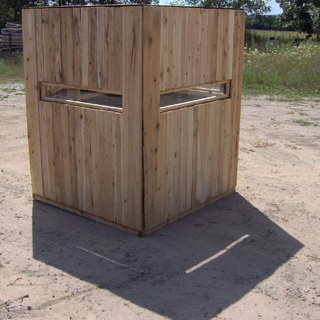 To snag a deer today, you need to do more than just grab a gun and take a stroll through the woods. 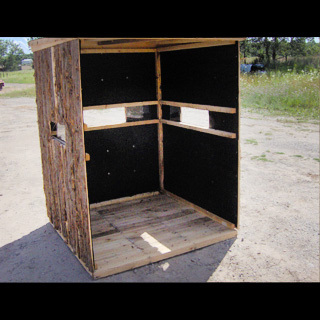 Deer blinds are a safe, effective way to bag your next buck without the hassle of climbing a tree. 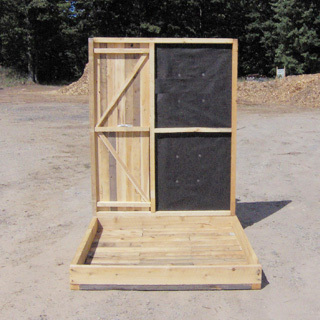 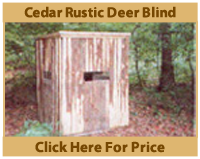 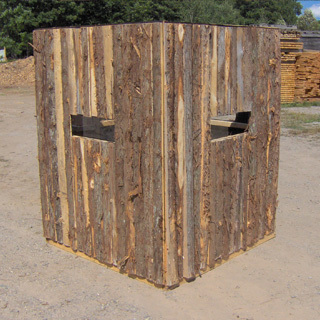 At Productive Cedar Products, our ground deer blinds are a great way to hunt while staying out of the elements. 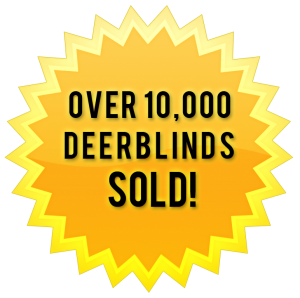 You can extend your season—and your luck—with our high-quality hunting blinds. 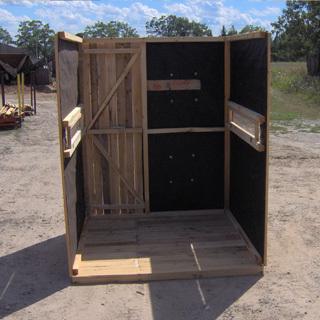 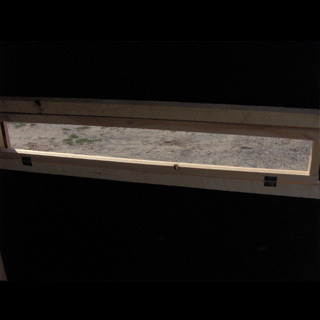 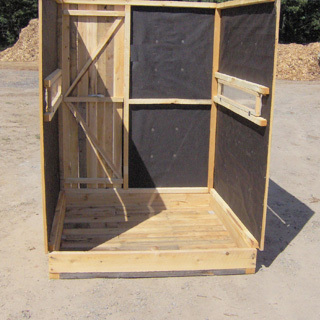 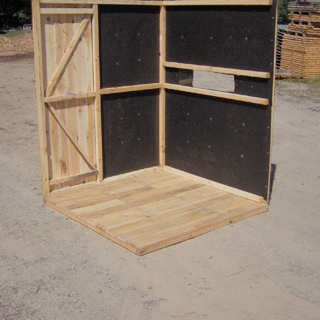 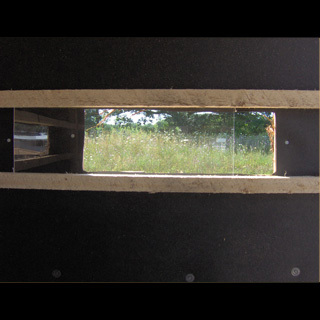 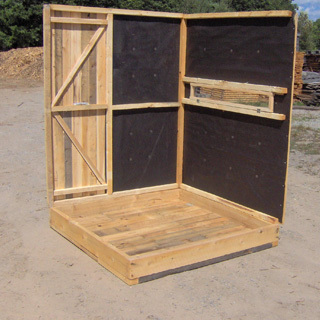 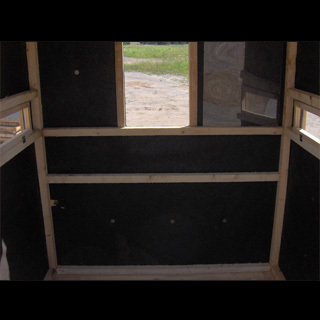 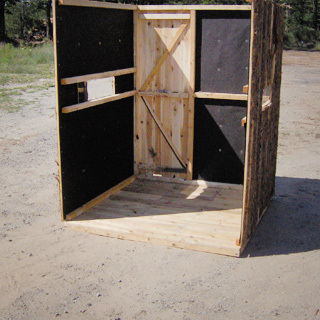 Our deer blinds come prefabricated with four walls, a floor, and roof panel ready for easy construction. 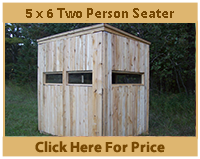 With no cutting and measuring to do, they are easy to assemble with a friend and will last for years. 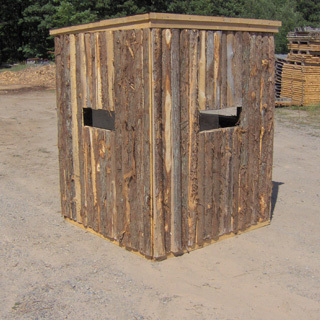 Our ground blinds can be put together in 30 minutes and serve as permanent hunting locations or you can pick it up and move it as you go. 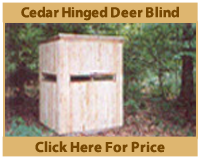 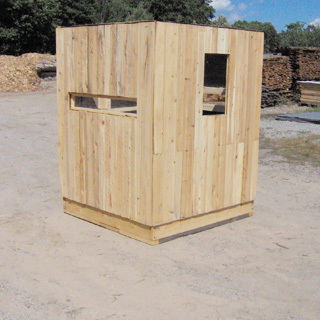 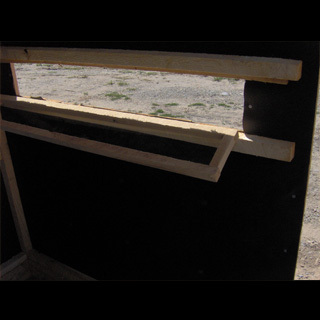 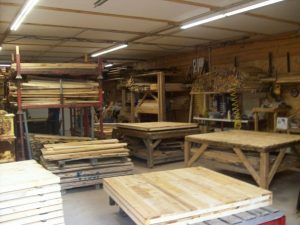 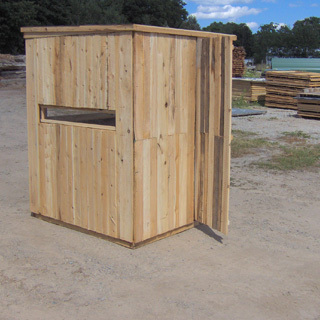 Unlike many popup deer blinds, Productive Cedar Products’ hunting blinds are factory direct and can be used for bow and rifle hunting. 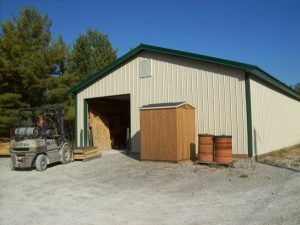 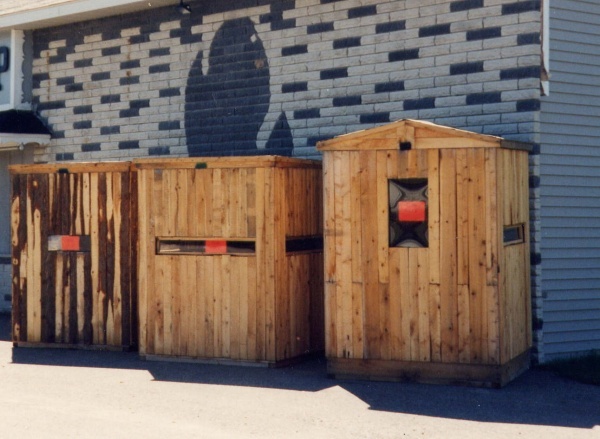 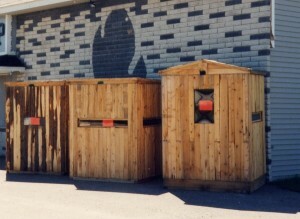 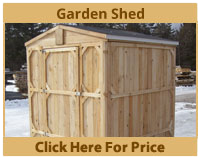 Their sloped roofs keep you warm and dry in rain or snow while providing a safe place to set up shop. 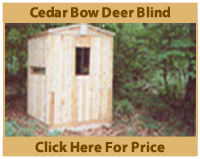 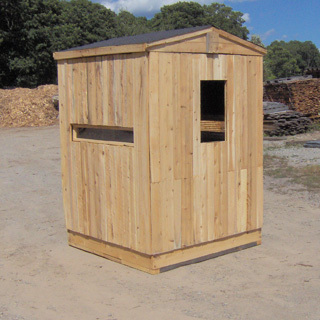 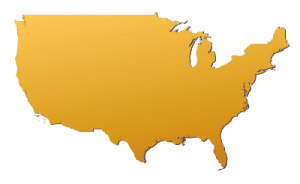 Contact Productive Cedar Products today for more information about our hunting ground blinds, deer blind supplies, and to get your box cedar deer blind shipped directly to you today!